Portable Tabs. Now tabs can be made fully portable by pointing them to a portable path that is resolved depending on the context, for example %userprofile%. Portable Tabs smartly adapt their contents to the current host system. These portable paths are remembered as such (unresolved) between sessions. So, for example, if you have a tab pointing to %userprofile%, it will always be resolved to the current user profile folder, no matter where it is located in the system you are currently working on, no matter where you plug your stick! This revolutionary concept is called Portable Tabs. 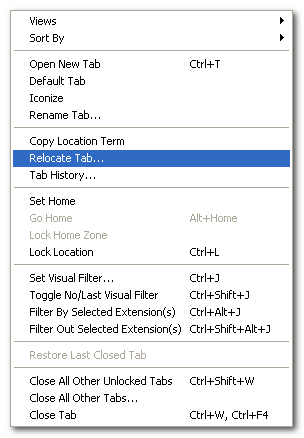 Tip: To increase the usability of such a portable tab it is recommend to set its home (Set Home) to the portable path and then apply Lock Home Zone. That way you can browse the whole portable branch without ever losing the portability of the tab. Go to Last Target. Now the copied or moved items found in the target location are auto-selected when you go there using the "Go to Last Target" command. A surprisingly useful little service. 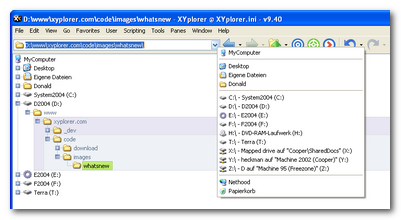 The command is found in menu Go, and can be triggered via keyboard shortcut Ctrl+Alt+F7. History Retains Selections. 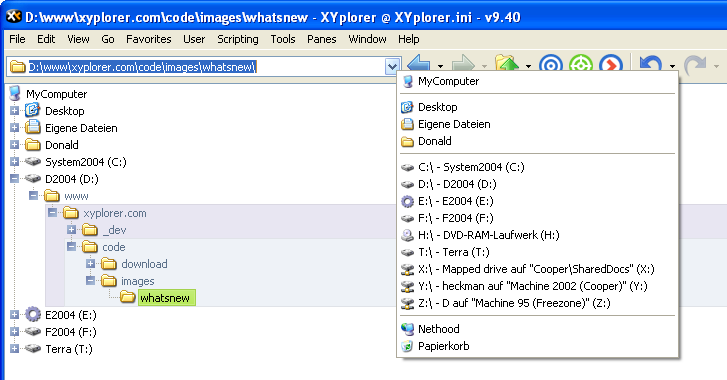 Now (optionally) if you return to a previous location, any previous selections in this location are restored. Note that the pattern does not match folders. 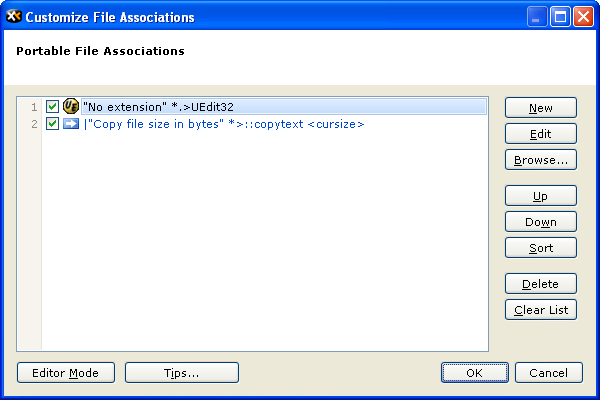 Now a double-click will open files without extension with UltraEdit. Tree. 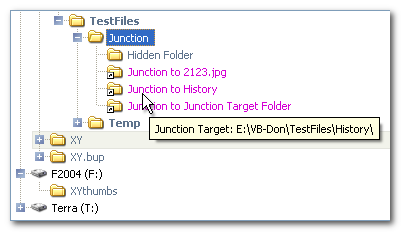 Now tooltips of junctions display the Junction Target. 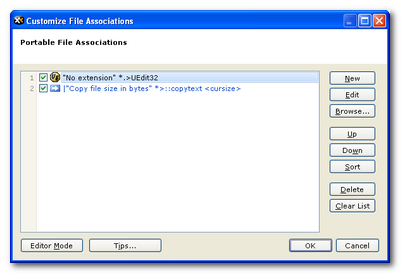 Of course, just the same easy and fool-proof way you can collect file information of any number of files on your own or a foreign system with a single click (once you have written the script, which is a no-brainer as well). Address Bar. 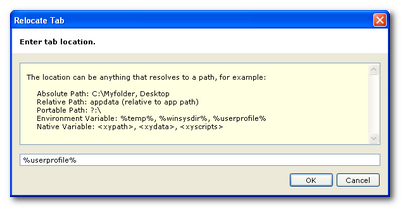 Now right-clicking the dropdown arrow pops the breadcrumb menu for the current path.